Brilliant, trippy pop / trip-hop music. Gorgeous, swirling dual-female vocal harmonies… depressing, honest lyrics and PERFECT music production/engineering. Astronaut Wife was a small group from Minnesota… late 90s/early 00s, who disbanded for unknown reasons. They’re still one of my all-time favorite bands…. the songwriting speaks volumes upon volumes. Dig in (by the way, these files are kinda low-quality… these are the only recordings I have of them). If you google the term Astronaut Wife and Minnesota, you can find some info about them, but really, there isn’t much. I don’t know how old this blog is but I thought I would mention that my wife worked with the guy who wrote and composed the music for Astronaut Wife during the bands active period. He and my wife worked for Fallon McElligott, an ad agency in Minneapolis. We saw them at First Avenue an intimate local music venue and from that moment i was hooked. He gave my wife a CD and I have listened to it countless times. She thought I was a little overboard in my praise but the harmonization and airy vocals are so beautiful and distinctive that they can not be mistaken for anyone else. I do not know why they disbanded, my wife left what is now Fallon Worldwide before the band dissolved. It is a shame though, I would have enjoyed listening to what else they came up with. On the CD there is a track you don’t have here named “Superpowers.” There is also an extended version of the same track dubbed “X-Ray Vision) I could try and get you these tracks if you don’t already have it. I listen to the MP3’s now but I am sure I could find the CD. It’s wonderful to see that someone else is still appreciating this talented band. Greatly appreciate your comment. The post was two years old but I just reposted it, since someone commented. I’d love to get a hard copy of the disc sometime. I would LOVE those songs… themelodies ATgmail is my email. Thanks! Hey I was in this band! 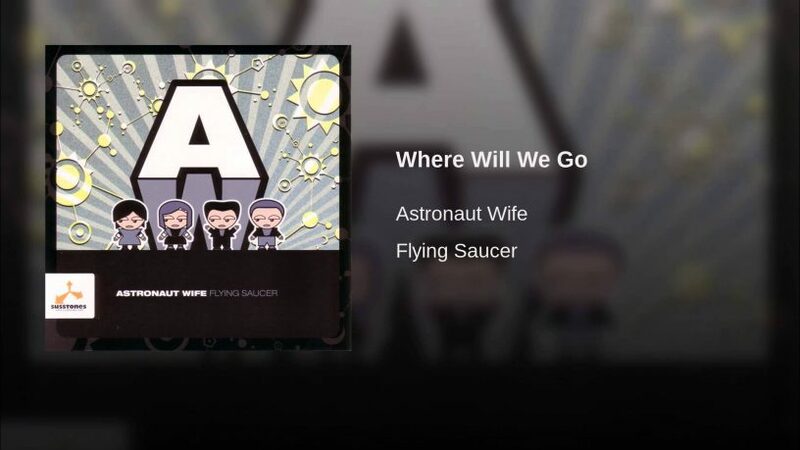 I came across this totally by accident doing a search for an MP3 of our song “Where Will We Go To” send to someone…ironically since we were around before Bandcamp, etc. most of our stuff is not available online. I should fix that at some point. Anyway I’m happy to send you a zip of both our EP and our Album if you want. We split mostly because we all got busy having kids and doing other stuff, but most of us are still involved in music – just with other projects. Me and Janey did thing together called The Sevateem that you might dig: https://vimeo.com/album/1940490 and I have a solo project that she sometimes helps with too: https://vimeo.com/album/3251347 Thanks for the kind words and let me know if you want me to send you stuff. Oh, I would love to get a copy of your EP! I’ve loved Austronaut Wife since 2001. A friend of mine e-mailed me the song “Cape Canaveral” back then; which sounded nothing like the version that ended up on the later album “Flying Saucer”. I was lucky enough to find the “Flying Saucer” CD on eBay about 10 years ago. But unfortunately I never managed to get my hands on the earlier recordings. All I have from 2000 / 2001 is a long instrumental version of “Cape Canaveral”, which features beautiful female voices, but no actual lyrics. As well as an earlier version of “Pedestal”. It’s really too bad you guys stopped. I often checked the net to see if there was any new material out. Curtis Hawkins is right in his previous comment about how unique Astronaut Wife’s sound is and cannot be mistaken for anyone else. Zowie. Been on a nostalgia bender of my own recently and came across a CD-R that I made of Astronaut Wife’s only “official” release – which was, in fact, three .mp3s. I remember downloading them on my (company-provided) DSL back in 2001 and thinking, “So that’s the future of music distribution, huh?” Panta rei !